Summary: Fast Booster and Cleaner is the best Speed Booster, turbo Cleaner, battery saver and CPU Cooler. 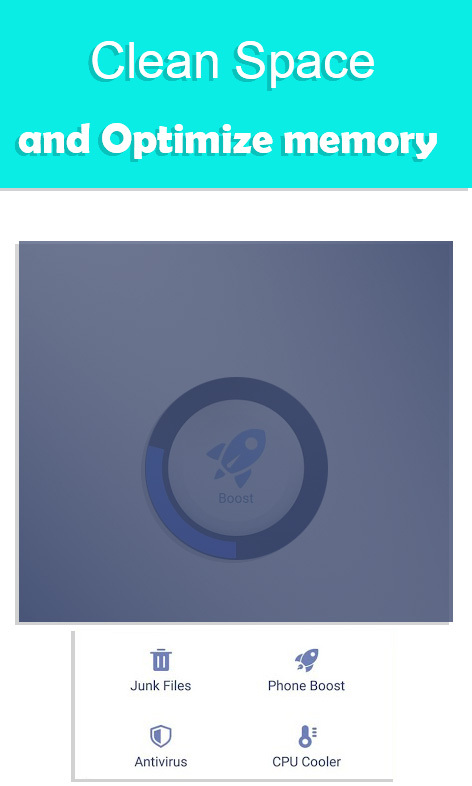 Fast Booster and Cleaner is the best speed booster and junk file cleaner to make phone faster and restore memory space Speed Booster can instantly optimize the performance of your phone, which includes accelerating web browsing speed, improving gaming experience, making your battery last longer, cleaning cache and removing the junk files. Fast Booster and Cleaner latest protection technologies against viruses, adware, malware, trojan and more. One-tap comprehensively detects network status, including Wi-Fi security, download speed, upload speed, networking devices. Continuous monitoring temperature changes, detects apps highly consuming CPU and starts a cooling progress, effectively reduce the phone temperature. 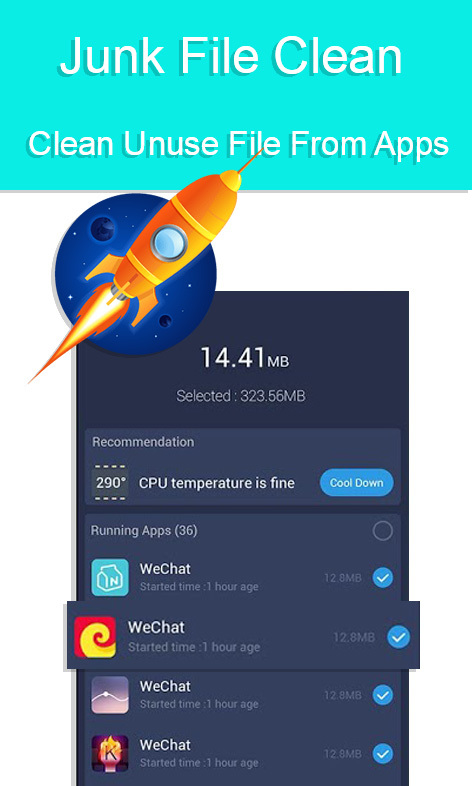 Features Cache Cleaner Speed Booster Memory Booster CPU Cooler Game Booster Network Boost Optimize your phone memory or storage with this Memory Cleaner (RAM Cleaner) and Cache Cleaner! Your best choice to make your phone powerful! The privacy of the user account information registered in Private Photo relies on Google Firebase service providing a safe and reliable mechanism to ensure data security.